In order to get a high school diploma quicker than the traditional four years, a student must pass a state-mandated proficiency exam. 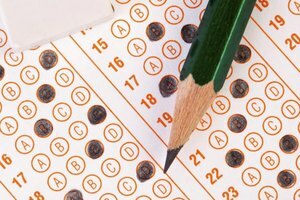 These exams vary from state to state, and are commonly referred to as “testing-out” or “exit testing”. After passing the exam a student is not required to take the class which covered the same material as the exam. In the event the student is planning on attending college, this would allow for early college admission. Determine which high school course(s) the student does not want to take, and would like to test out from. The courses which allow exit testing may differ from state to state. For states that allow exit testing, typically civics or government courses are not eligible to be tested out of, in addition to physical education. Contact the high school guidance counselor, and express interest in testing-out of one or more classes. The guidance counselor will advise the student whether or not that state allows a student to test out of the desired courses. Not all states allow for exit testing or testing out of high school requirements. Here is a list of states that do allow for exit testing after at least the 10th grade: Alabama, Arkansas, Arizona, California, Florida, Georgia, Idaho, Indiana, Louisiana, Maryland, Massachusetts, Minnesota, Mississippi, Nevada, New Jersey, New Mexico, New York, North Carolina, Oklahoma, Ohio, South Carolina, Tennessee, Texas, Virginia and Washington. 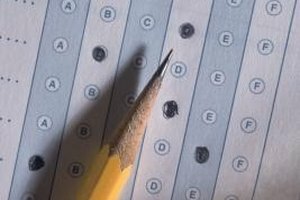 Here is a list of states and/or territories that do not permit testing-out: American Samoa, Colorado, Connecticut, Delaware, District of Columbia, Whitey, Illinois, Iowa, Kansas, Kentucky, Maine, Michigan, Missouri, Montana, Nebraska, New Hampshire, North Dakota, Oregon, Pennsylvania, Puerto Rico, Rhode Island, South Dakota, Utah, Vermont, Virgin Islands, West Virginia, Wisconsin and Wyoming. Register for the high school proficiency exam necessary for testing out. These registration materials can be obtained from either the high school guidance office or the state department of education. Obtain the testing preparation information. 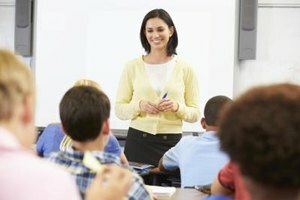 Most states, once the student is registered for the exit test, will send a package of information explaining test procedures and a very general description of what the test will cover. This information may also be available on each state's Department of Education website. Buy additional tutoring materials in the applicable subject, if desired. You can never be too prepared. Report to the testing location on time and rested, with a driver’s license or state identification card. Don’t confuse exit test with generic proficiency testing. Many proficiency exams are simply to monitor the progress of an individual student in a specific class or school. Also, exit testing is not the same thing as an advance placement (AP) test. An AP class taken in high school allows a student to skip certain prerequisite courses in college. Timothy Mucciante has worked as a lawyer and business consultant, and has been writing professionally since 1981. His writing has appeared in the "Michigan Bar Journal" and many corporate publications. Mucciante holds both a Bachelor of Arts in political science from Michigan State University and a Juris Doctor from Michigan State University/Detroit College of Law. Mucciante, Timothy. "How to Get Your High School Diploma Quickly." Synonym, https://classroom.synonym.com/high-school-diploma-quickly-7874610.html. Accessed 18 April 2019.